Apothekari Rejuvenating Oil Elixir – New! If you’ve been looking for the perfect facial oil, Apothekari Rejuvenating Oil Elixir has arrived, just in time to help deal with winter’s drying effects. This limited edition facial oil from Apothekari Dermaceuticals features over 94% Olkerii Marula oil plus other skin nourishing vegetable oils like chia, pomegranate seed and crambe seed along with essential oils. This oil elixir delivers fatty acids, sterols and antioxidants to calm, heal and protect skin. It’s formulated to promote soft, radiant skin, protect skin from dehydration, while encouraging skin rejuvenation and reducing inflammation. It’s fast absorbing and suitable for all skin types. We’ve been exploring facial oils for a few years now but think we’ve finally come up with a winning and effective combination with the Apothekari Rejuvenating Oil Elixir. Plus its delicate scent from essential oils make this a highlight of our daily skin care routine. Olkerii Marula Oil: Nuts harvested from trees that grow wild across East Africa from Kenya to Tanzania, marula oil contains between 70-78% monounsaturated high-oleic acid along with potent antioxidants, some of which have yet to be identified. 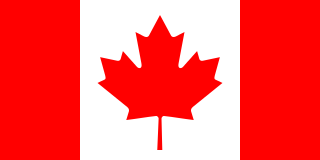 It is highly stable and has significant healing properties. Chia See Oil: Contains polyunsaturated fatty acids including 15-25% linoleic acid and 60% alpha linolenic acid to maintain moisture in the skin. The high content of essential alpha-linolenic acid provides a vegetarian source for the body`s own EPA and DHA synthesis. Pomegranate Seed Oil: A fatty oil with a high concentration of punicic acid, a valuable conjugated linolenic acid. 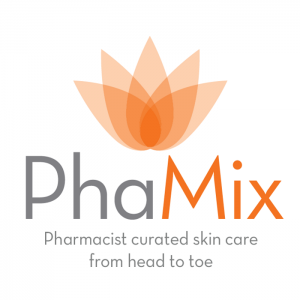 The extract contains tocopherols, sterols and a small amount of squalene. It is used for promoting skin regeneration, stimulating self-repair mechanisms, improving skin elasticity, reducing wrinkles and as prophylaxis against skin aging; calming and healing properties in case of irritated, dry, sensible, and allergic and itching skin. 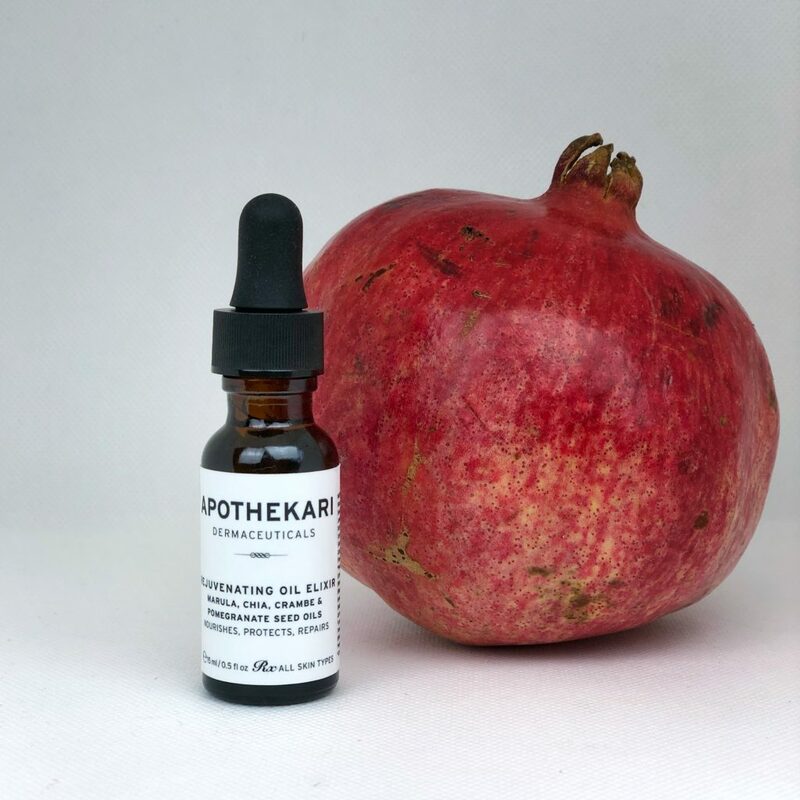 Pomegranate seed oil can also be found in our Apothekari Bespoke Vitamin C serum. We love this facial oil for its healing, soothing and skin rejuvenating benefits. It’s an ideal partner with your daily or nightly moisturizer to seal in the hydrating powers while acting as a protective layer. If you’ve been struggling to keep your skin properly hydrated every time winter weather makes an appearance, Apothekari Rejuvenating Oil Elixir may just be the one to save the day. And keep your eyes on this space to find out how to use a facial oil to maximize its benefits.